On July 19th, 2018 at the age of 90 Orlando Bossio of Vancouver, BC (formerly a 30 year resident of Kamloops, B.C.) passed away surrounded in love, with his family by his side. 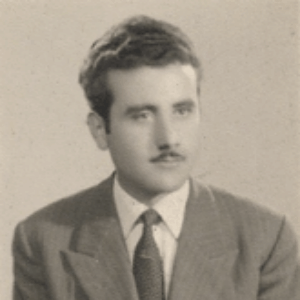 He was born on July 16th, 1928 in Cleto, Cosenza, Italy to the late Gaspere and Maria Bossio. Orlando is survived by his wife Teresa and two children Maria (Joe) and Gaspere (Colleen) and adored granddaughter Cassandra. He also leaves behind many cherished members of his extended family both in Canada and Italy. Orlando’s greatest joy was spending time with his family and in his immaculately kept vegetable garden. 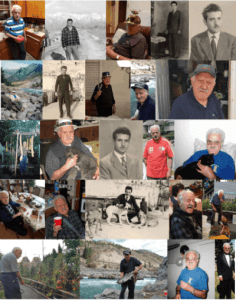 His other passions included watching Formula One racing, Boxing & UFC, fishing, going to the lake,making sausages and traditional meals and desserts, decorating for and celebrating the holidays, playing bocce, being a handyman, as well as storytelling. A respectful, loyal, genuinely humble, selfless and loving soul that always put his family first; he quietly earned the respect of all that he encountered. Loved by all, he possessed a gentleness, a beautiful smile, and always had a twinkle in his eye; his presence will remain in our hearts forever. Family, friends and others who Orlando touched are invited to attend the Funeral Mass on July 25th, 2018, 11:00 a.m. at Our Lady of Sorrows Roman Catholic Parish – 555 Slocan Street Vancouver, B.C. , Entombment service to follow at 1:00 p.m. at Ocean View Cemetery – 4000 Imperial Street, Burnaby, B.C. In Lieu of flowers, please consider a donation in Orlando’s honour to the Canadian Pulmonary Fibrosis Foundation https://cpff.ca/donations/cpff-donation-form/ or a charity of your choice. Our prayers and heartfelt condolences go out to you for your loss. Please accept our condolences that we hope will help you through this difficult time. Sentite condoglianze a la famiglia Bossio. I nostri pensieri sono con voi in questo tempo difficile. Our family members are all very saddened by the passing of Orlando. He was a very gentle and generous person who was loved by all his family and friends. Our sincere condolences to our cousin Theresa and her children. Our thoughts and prayers are with you all. God Bless Bombino cousins and family.